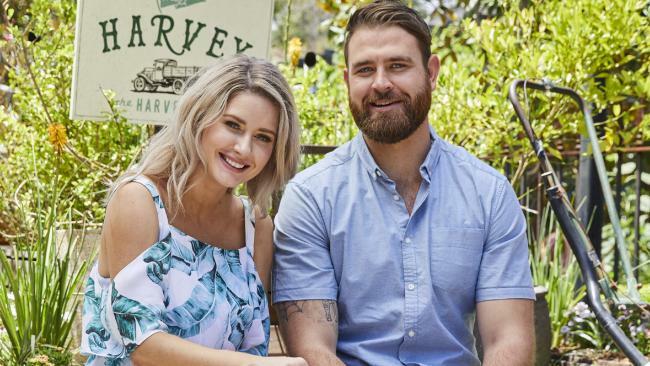 BEK Outred has spoken about that passionate kiss with Kyle McLean, a cooking rival on My Kitchen Rules, and if there's now a romantic relationship. 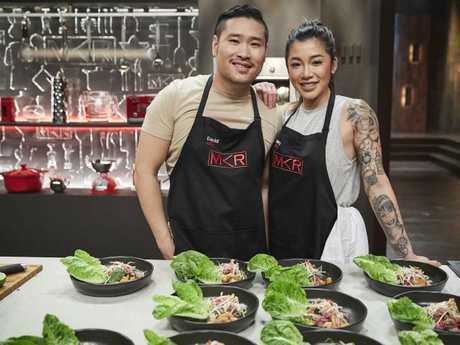 The pair flirted outrageously before it climaxed with a passionate kiss in front of the other cooks at Amy and Tyson Murr's instant restaurant on Tuesday, the show watched by 1.401 million viewers - the highest rating for the series to date. Bek told News Corp Australia that she and Kyle, a 27-year-old bartender, have kept in touch but are now "just friends" and that she has a new man in her life. "It was me that decided to keep it as friends," Bek said. "It looks like I'm the desperate one who's absolutely in love with him (on the show) but it wasn't really like that. "I'm not saying he wanted a full-on relationship with me but he did want to take it a bit further. I'd met someone at that stage that I had real feelings for. "I have a boyfriend that's not Kyle and that happened straight after we left My Kitchen Rules. There was a spark there (with Kyle) but we just work out better as friends. "I don't fall for guys very easily. I could see us together and I did really like him. I did have a few thoughts about a future with him - but it wasn't anything really serious. 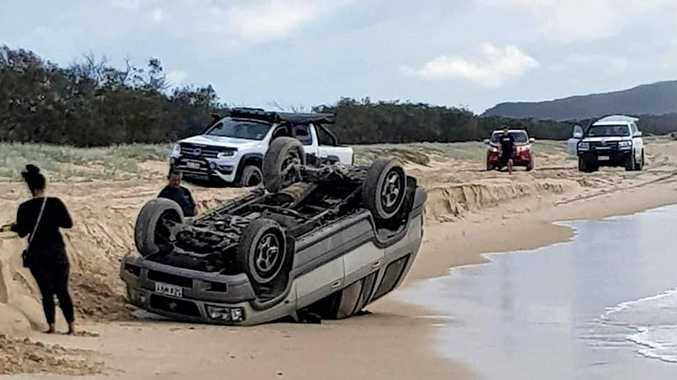 It was just kind of a bit of fun." 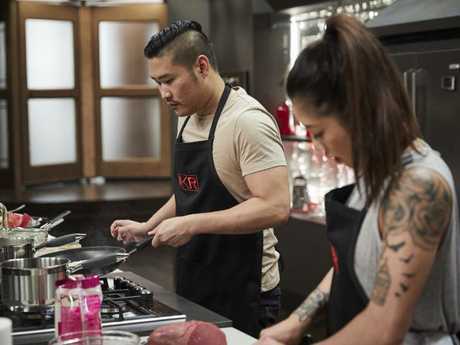 Bek and her flatmate Ash Brannan, who had the lowest score in the instant restaurant section, were eliminated from the Channel 7 cooking contest tonight. 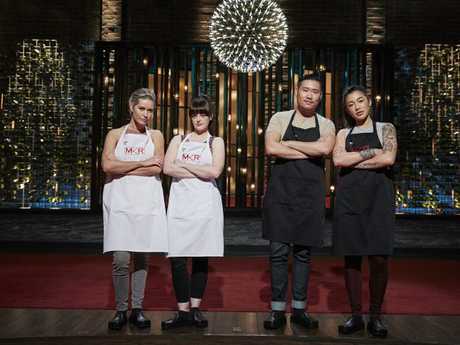 The West Australians narrowly lost a sudden death cook-off against David Vu and Betty Banks, who were given the second lowest mark. Bek and Ash scored 31 out of 60 from judges Pete Evans, Manu Feildel, Karen Martini, Guy Grossi, Liz Egan and Colin Fassnidge for their three-course menu. Bek and Ash decided on a safe menu of relatively simple dishes they had cooked before. They plated up an entree of mushroom crepes with brie sauce, a main of venison with black rice pilaf and Cumberland sauce, and a dessert of pistachio ice cream with lemon and ginger biscotti. But the pair struck trouble early when their crepes ended up too thick. "It is a pancake as opposed to a crepe," Martini said. "It is a simple dish so you need to nail all the ingredients (but) it hasn't cooked enough," Fassnidge commented. David and Betty went in the opposite direction to Bek and Ash and scored 34 out of 60 for a menu that started with Lao raw beef salad, followed by Mok Pah - steamed fish in banana leaf. The New South Wales friends' dessert was chilli salt fruits with green mango and pineapple sorbet. "This menu is adventurous, spicy and full of flavour," Betty said. The New South Wales friends' entree was a winner - a "delightfully tasty textured salad" according to Martini. But the main was a different story. David and Betty needed 25 minutes to steam their fish but a lack of preparation meant they ran out of time. "The fish is still raw and the garlic and lemongrass are coming across as quite raw as well," Martini said. The verdict was better for Bek and Ash's main of venison. "The venison is cooked perfectly but the Cumberland sauce is a little sweet and overpowering," Grossi said. David and Betty's dessert was a mashup of sweet and sour flavours, including fish sauce, which surprised the judges. "I think it is one of the most intriguing desserts I've ever had on My Kitchen Rules," Egan said. Bek and Ash's dessert was less well received. "It's a little bitsy," Evans said. "It doesn't scream a complete dessert." In the end Grossi, Egan, and Feildel gave both teams the same score out of 10 - six, five and six respectively. It was the higher scores from Evans, Fassnidge and Martini that got David and Betty across the line. Bek and Ash went straight back to their jobs as veterinary surgeon and dental nurse after the elimination. "We are happy with the way that we cooked - it was the way that we normally cook," Bek said.